More gold for Uganda, Titus Tugume wins gold and silver medals in USA. 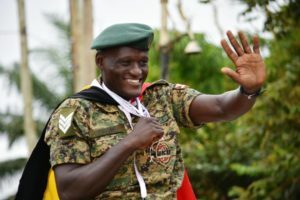 After a couple of gold, silver and bronze medals won by Joshua Cheptegei and Stella Chesang in the recently concluded Common Wealth Games held in Australia, Ugandan Flag is flying high again today to the world after a UPDF army soldier and kick boxer Sgt. 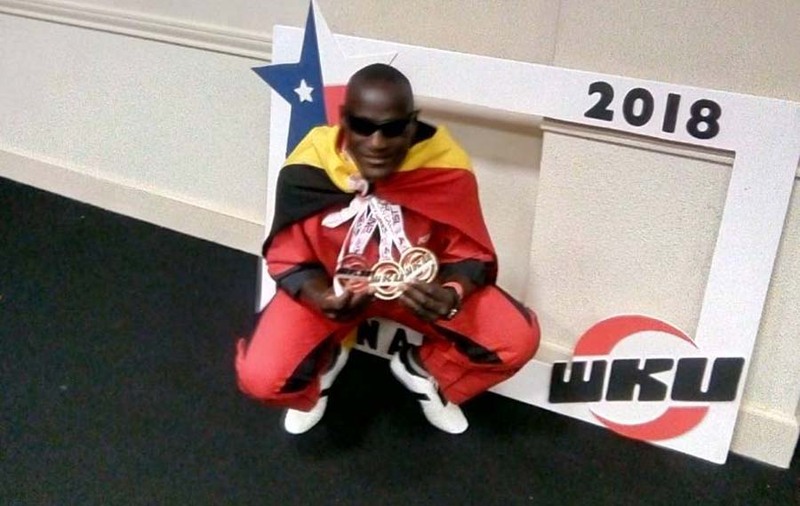 Titus Tugume makes it to the Uganda celebrity news after he won and bagged two prestigious medals in San Antonio city, Texas USA and was later welcomed home as a hero. The Procession was led by UPDF Brass Band from Conrad Plaza until they reached at Uganda National Council of Sports at Lugogo where he was welcomed and appreciated for the good work well done. At the handover ceremony of the medals and Ugandan flag to the Representative of the Chairperson of National Council of Sports, the chief guest Mr. Cheborion Patrick thanked the UPDF army for joining the police force to win medals for their country. Cheborion attributed the winning of the medals by defense forces to the stability of Uganda. “It is because of the stability brought by the current government that forces can now engage in extra activities leading to such wins” he said. Mr David Katende the current acting Secretary General in charge technical National council of Sports said that the organization will continue giving support both financial help and information to the sportsmen who represent the country and also support sporting activities. He also thanked UPDF for starting up a kick boxing club for soldiers. SGT. Titus Tugume won two medals in the 2nd World Kickboxing and Karate Union Pan-American games respectively. The events happened in san Antonio city, Texas USA. Tugume emerged winner of two gold medals in kick light style and contact style both by knockout according to UPDF spokesperson. He also won silver in the point style competitions. 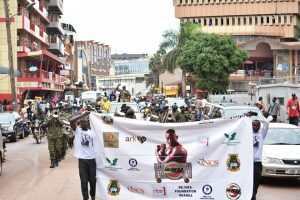 The ceremony was attended the president of Uganda kickboxing federation Luyoza Patrick, UPDF Director of Sports Col John Mark Ssemanda among others. Previous articleMakerere University strike enters day two, even more bloody. Next articleFik Fameica teams up with Beenie Gunter in Kaddemu Awo song.